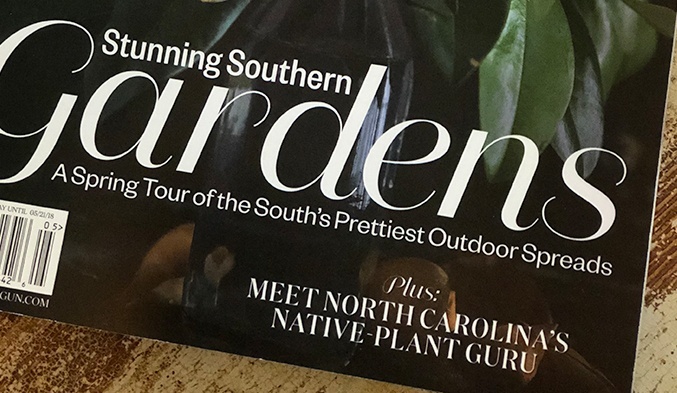 Once again, Garrett Wildflower Seed Farm was honored to be featured in the April/May 2018 issue of Garden & Gun Magazine! The article, “Sowing the Wild South” touches on our heritage and our vision for the future of the Southern Landscape. See below for an excerpt or read the article in its entirety here. “In the beginning, Daddy would really get on me,” Don Lee says. We’ve moved out of the tall grass now, the Indian grass that reached past his shoulders, to a field of knee-high mistflower and blue aster where butterflies and bumblebees hover. Lee is tall and lanky, with brownish-green eyes. He speaks in soft, quiet, measured tones and wears his fifty-six years as put together and proper as carefully pressed jeans. Lee tells me this as we move through alternating bands of narrow-leaved sunflower, partridge pea, and spotted bee balm. This is a purely indigenous landscape, as native as a covey of bobwhite quail. It is nothing like the tobacco, soybeans, and sweet potatoes his father grew, and his father before him. Except that everything Lee learned from his family’s nine generations of farmers has led him to do things differently: bank his family’s farm on a journey to grow their future from the past.